Culture Corps is a new initiative of the AADF which aims to strengthen the cultural sector and to expand the possibilities for innovation and change through the power of creativity. In order to give the right tools to local cultural actors to drive the change in their communities, the project will provide opportunities for the next-generation of cultural leaders to receive the skills, knowledge and networks they need to jump start cultural entrepreneurship. 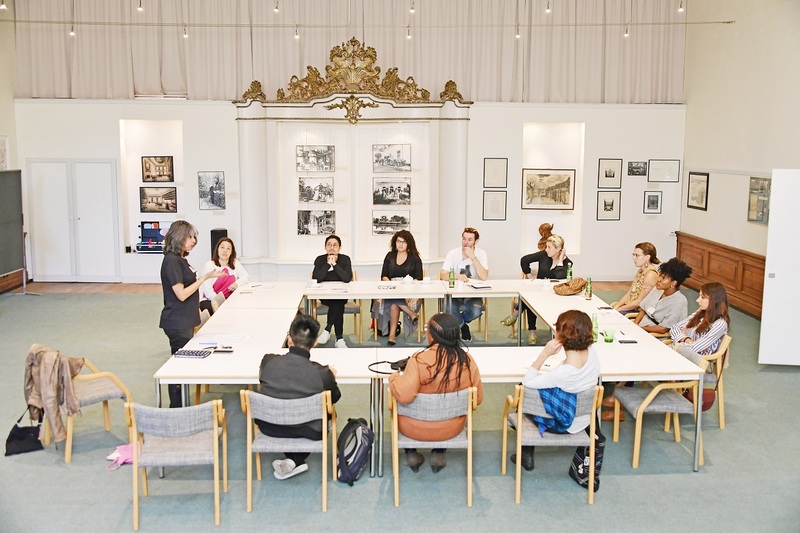 Emerging cultural leaders from around the world meet in Salzburg, Austria, between October 16-21 2018 as they become the latest Fellows of the Salzburg Global Forum for Young Cultural Innovators (YCI). The third team of Albanian participants join the Salzburg Global Forum for Young Cultural Innovators V, supported by Albanian American Development Foundation (AADF). This year’s program was attended by 50 participants from YCI Hub-s in Baltimore, Buenos Aires, Tirana Canada, Detroit, Japan, Malta, Manila, Memphis, Nairobi, New Orleans, Salzburg, Seoul, and the Upper Midwest United States. Aged between 25 and 35, the participants represent diverse creative disciplines, gender and geographic contexts. 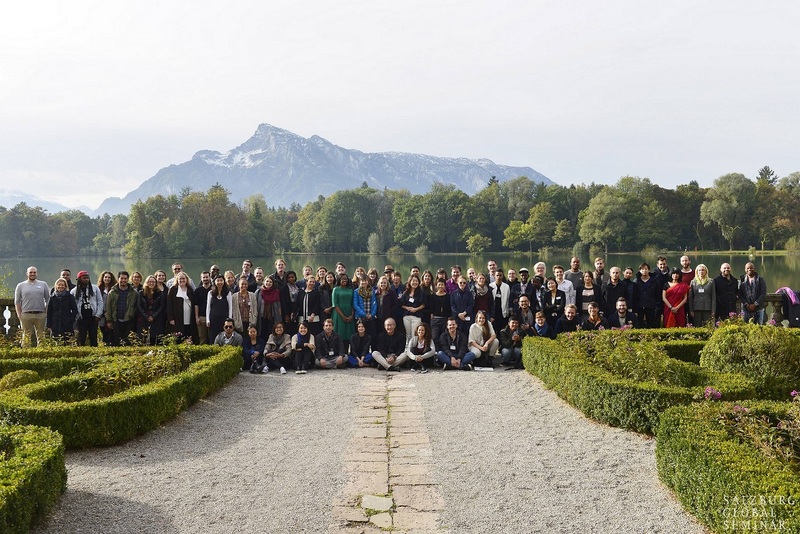 Now in its fifth year, the Salzburg Global Forum for Young Cultural Innovators is a project which aims to build collaborative networks for human capital and leadership development within the cultural sector globally. The YCI network now has more than 250 members across all continents. Generously supported by AADF-Albanian American Development Foundation, Salzburg Global Seminar invites young cultural innovators based in Albania to apply for the 5th annual Salzburg Global Forum for Young Cultural Innovators. On March 19. 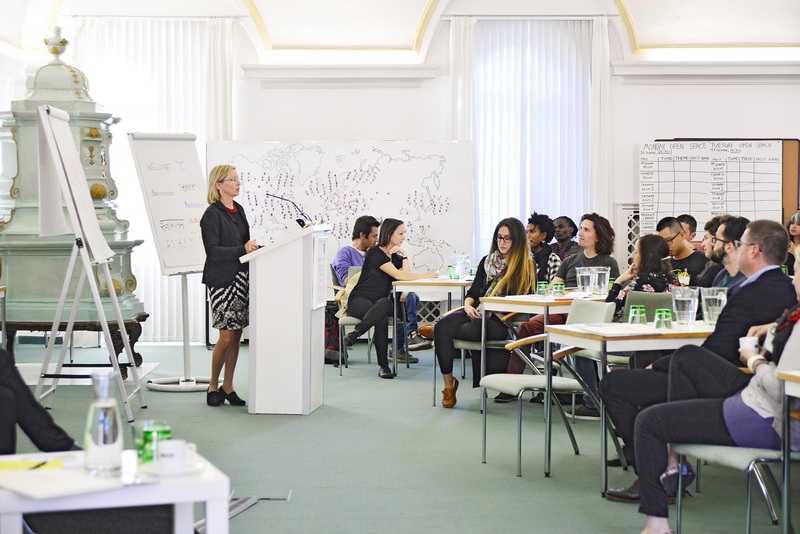 2018, AADF and the Salzburg Global Forum for Young Cultural Innovators, organized the follow up activity “How to move from ME to WE” as part of “Culture Corps” project activities. The inspiring training session facilitated by; Mr. Peter Jenkinson and Mrs. Shelagh Wright, gathered young people from Albanian creative sector, to explore mechanisms which promote innovative approaches for the development of contemporary cultural activities and creative forms of entrepreneurship. You can find online The annual report of the 4rd Salzburg Global Forum for Young Cultural Innovators which took place in Schloss Leopoldskron, Salzburg/Austria form October 14 to 19, 2017. The team of Albanian participants was part of the seminar for the second year, with the generous support of AADF. 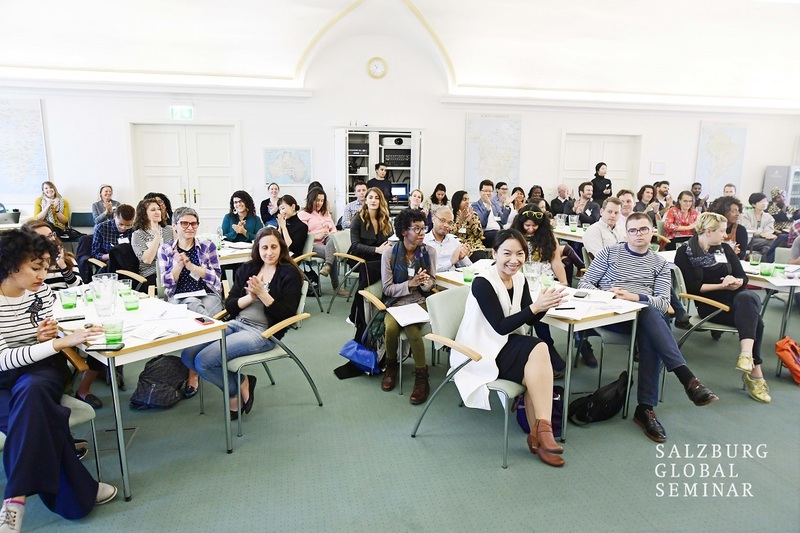 Salzburg Global Forum for Young Cultural Innovators IV, was attended by participants from 13 countries, each of them with their unique challenges, tied to their specific heritage and creative industry. They were met with 10 facilitators and five speakers over an intensive 5 days of workshops, seminars and skills-building exercises. 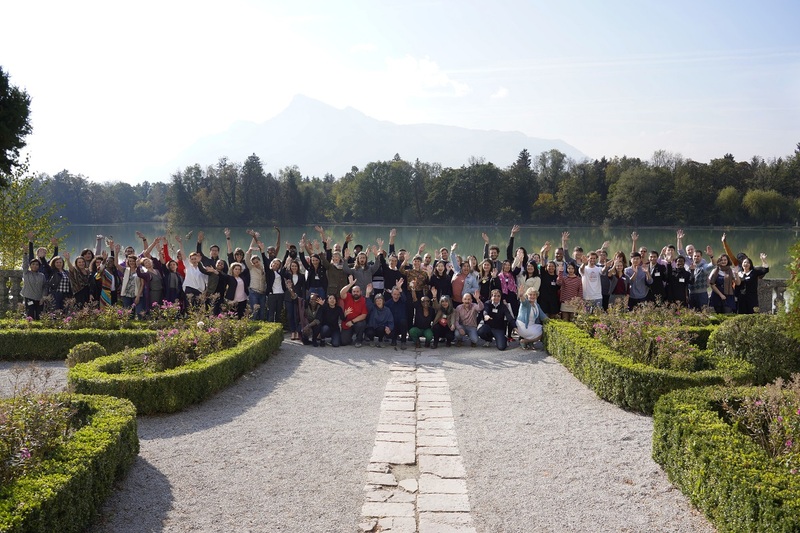 With the generous support of AADF for the second year a team of Albanian participants was part Salzburg Global Forum for Young Cultural Innovators IV, which took place in Schloss Leopoldskron, Salzburg/Austria form October 14 to 19, 2017. The YCI Forum represents a major commitment by Salzburg Global Seminar to fostering creative innovation and entrepreneurship worldwide with the intention of building a more vibrant and resilient arts sector and of advancing sustainable economic development, positive social change agendas, and urban transformation worldwide. This participation is part of the ongoing collaboration of AADF with Salzburg Global Seminar which aims to provide opportunities to empower the next-generation of cultural leaders in Albania. Generously supported by AADF-Albanian American Development Foundation, Salzburg Global Seminar invites young cultural innovators based in Albania to apply for the 4th annual Salzburg Global Forum for Young Cultural Innovators. The annual report of the 3rd Salzburg Global Forum for Young Cultural Innovators is now available online to read, download and share. 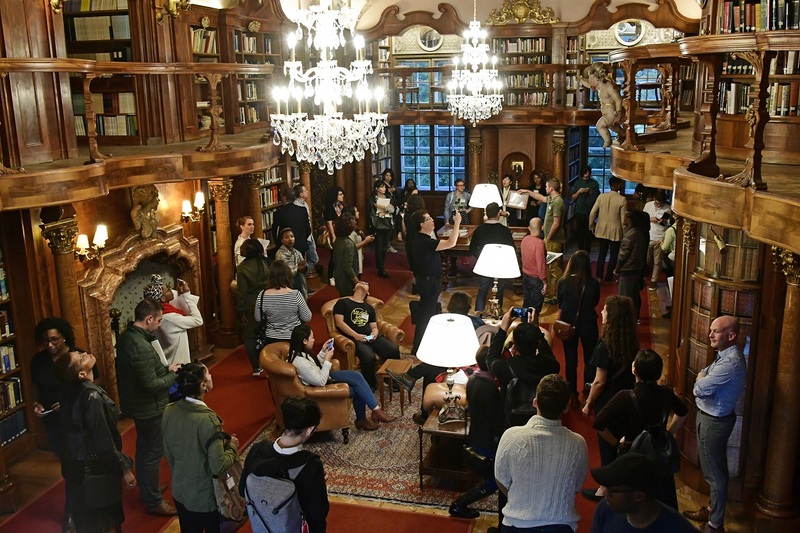 64 young cultural leaders from 60 different cities, including 6 new hubs, gathered in the Schloss Leopoldskron in mid-October. Salzburg Global hosted this year future innovators from: Albania, Argentina, Australia, Austria, Bulgaria, Greece, Japan, the Mekong Delta Region, the Philippines, South Africa, South Korea, Russia,and the United States. Supported by the AADF, the group of young cultural innovators from Albania, spent an intensive week exploring concepts on how to foster strong culture in order to transform communities. The YCI Fellows passionate about the growth in their local hubs, connected with like-minded individuals to spread their innovative thinking with a global network. With a revitalized energy towards their work, the YCI Fellows returned to their communities with new perspectives and ideas on their role as leading innovators. With the support of AADF, the first team of Albanian participants was part of Salzburg Global Forum for Young Cultural Innovators III. 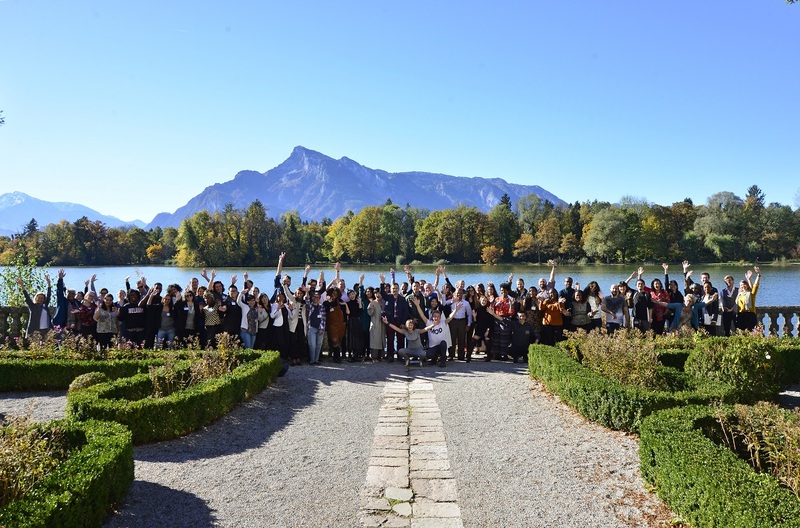 The 2016 session took place from October 11 to 16 at Schloss Leopoldskron, Salzburg/Austria. Every year the forum brings together over 50 of the brightest minds from across varying industrial, geographic and cultural backgrounds with the goal of developing their skills, enhancing their connections on a global scale, and sharing their own expertise and experiences. This participation at the same time “inaugurated” the 3 year collaboration of AADF with Salzburg Global Seminar, which will provide opportunities to empower the next-generation of cultural leaders in Albania. This call is open to all the young cultural professionals in Albania which want to develop their entrepreneurship skills, knowledge and network in order to start up creative enterprises in the cultural sector. Culture Corps - Young cultural innovators driving change is a new initiative of the AADF which aims to strengthen the cultural sector and to expand the possibilities for innovation and change through the power of creativity. AADF will provide young artists, managers, architects, urban planners and other creative entrepreneurs the opportunity to participate at the Salzburg Global Forum for Young Cultural Innovators. 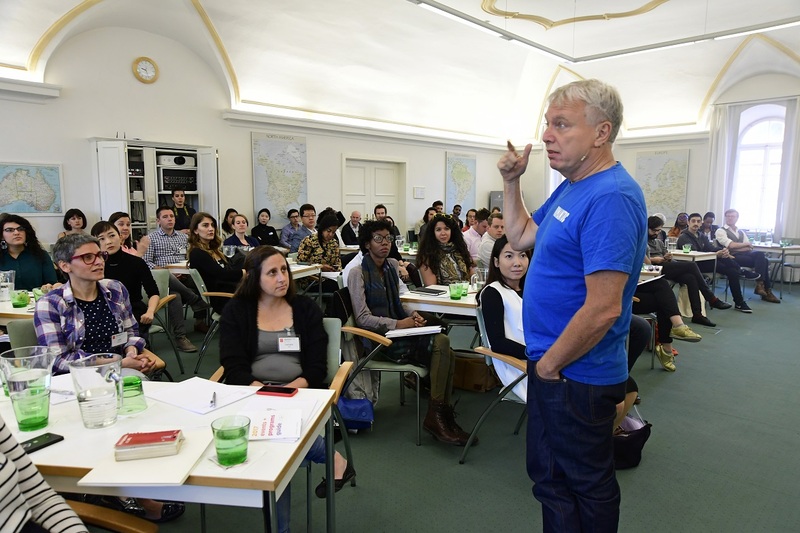 The Salzburg Global Forum for Young Cultural Innovators (YCI) is a 10 year project launched by Salzburg Global Seminar to engage 50 of the world’s most dynamic young cultural innovators every year. 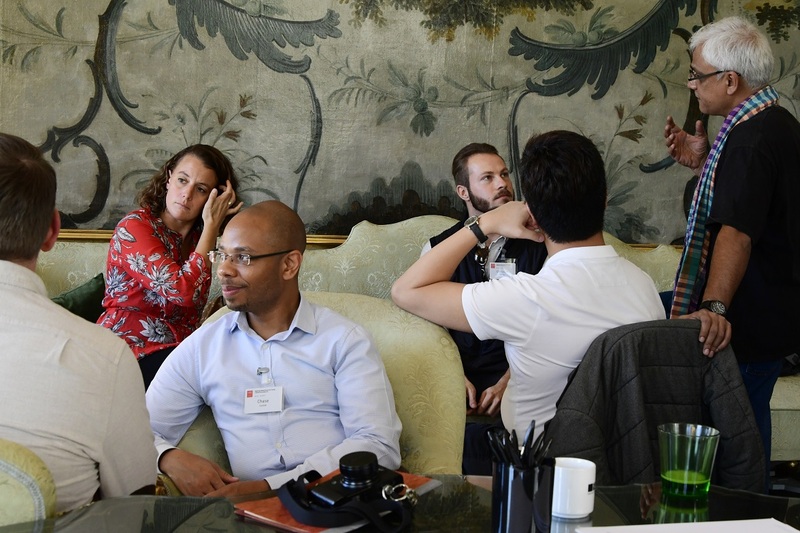 These innovators join Salzburg for 10 “culture hubs” in 6 regions of the world to experience an opportunity in developing the vision, entrepreneurial skills, and global networks needed to advance their organizations, causes and communities. The forum also encourages inter-hub collaboration to continue the cross-cultural exchange and learning, create dynamic platforms of engagement, and to provide innovative development and support. YCI is a one week session which includes intensive face to face training, global experience exchange, and professional networking. The Young Cultural Innovators 2016 session will be held in October at; Schloss Leopoldskron Salzburg /Austria. To complete the application process, please include a curriculum vitae and a personal statement. All documents should be submitted in English. Albanian- American Development Foundation launched on the 2nd of June 2016 its new project called CULTURE CORPS – Young Cultural Innovators driving change. The project will provide opportunities for the next-generation of cultural leaders to receive the skills, knowledge and networks they need to jump start creative entrepreneurship. The project will be implemented by AADF in collaboration with Salzburg Global Seminar, which will fulfill the training program through Young Cultural Innovators Forum. AADF has committed $120,000 for the project, which in 3 years will give to local cultural actors the right tools to drive the change in their communities. 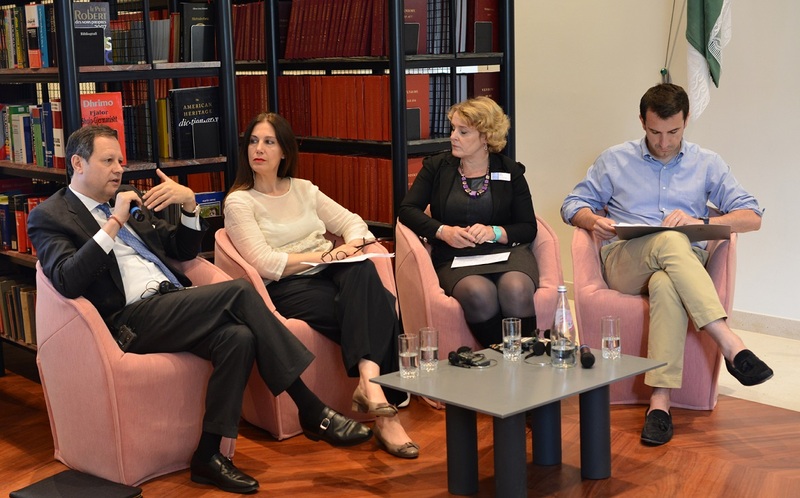 Hosted at the Center for Openness and Dialog, the event included a panel discussion composed by Mr. Michal Granoff (AADF Chairman of the Board), Mrs. Clare Shine (Vice President and Chief Program Officer of Salzburg Global Seminar), Mrs. Mirela Kumbaro (Minister of Culture), and Mr. Erion Veliaj (Mayor of Tirana). The speakers shared with the audience their approach and commitment in support of the project, underling the need for creative initiatives in help of sustainable development. The MOU was signed on this occasion between the AADF and Salzburg Global Seminar by: Mr. Michal Granoff from AADF and Mrs. Clare Shine from Salzburg Global Seminar.